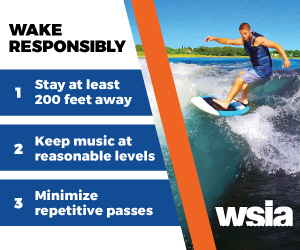 On Wednesday, February 27, 2019, top water sports industry professionals will be joining each other in Steamboat Springs, Colorado for the thirteenth annual WSIA Summit to collaborate, share best practices, and navigate through key issues to preserve the future of towed water sports. With two full days of seminars, keynote speakers, workshops, committee meetings and networking opportunities, including cocktail hours and time on the slopes, Summit offers the unique opportunity for industry professionals to collaborate and focus on topics including safety, risk management, advocacy and participation growth, and the overall promotion and protection of all towed water sports. With this year’s Summit rapidly approaching, we want to build some hype around one of the most exciting appearances that the trip will be offering. Thursday night, during the crowd-favorite event Dinner on the Mountain, Summit attendees will have the pleasure of listening to Keynote Speaker Grant Korgan talk about his life journey. If you’ve never seen Grant speak, you’re in for a treat. If in fact you have seen Grant speak, you can understand how thrilled we are to host him as our special guest. Grant Korgan, an adventure athlete and former nanoscientist, has always lived life on the edge. 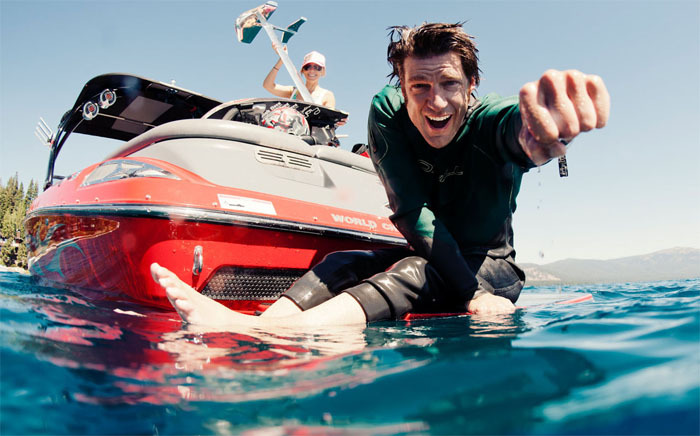 From snowmobiling and mountaineering on a professional level, to swimming with whales, piloting aircraft, backflipping on hydrofoils, and skiing 80 miles to the South Pole (just to name a few), it’s safe to say that Grant is an adrenaline junkie. Here’s the thing though – more than half of those activities he’s done post-spinal cord injury. In March of 2010, while snowmobiling in the Sierra backcountry, Grant sustained a spinal-cord injury from an L1 vertebrae fracture and was told he would never walk again. As you may have guessed by now, Grant did not let that prognosis stop him. With his wife Shawna’s support, the two persevered and focused completely on recovery. Remarkably, Grant now has feeling to his knees and can walk with the assistance of canes. Every day, he continues to push the boundaries of what’s physically possible. Along with being a sponsored action sports athlete, Grant Korgan is a published author, a three-time TEDX thought leader, and an in-demand motivational speaker across the country. Join us at Summit 2019 for an unforgettable presentation by Grant Korgan. If you have space earlier in the day on Thursday the 28th, be sure to make your way to the Korbel Room to watch a private film screening of Grant’s documentary, The Push. Watch the teaser below. If you haven’t yet registered for Summit 2019, click here to sign up. Online registration is open through Friday, February 15th.